It seems Verizon's press release was misleading. ASUS has confirmed to us that an unlocked model will be available in the United States as well, compatible with AT&T and T-Mobile. This seems like a dumb move, as the market for this phone was already incredibly tiny, and now even less people will be inclined to buy it. If you need a refresher, the ZenFone AR was announced back in January with a Snapdragon 821 CPU, up to 8GB of RAM, a 5.7" 1440p display, and Android 7.0. Verizon neglected to announce pricing, but it will be available from Big Red this summer. 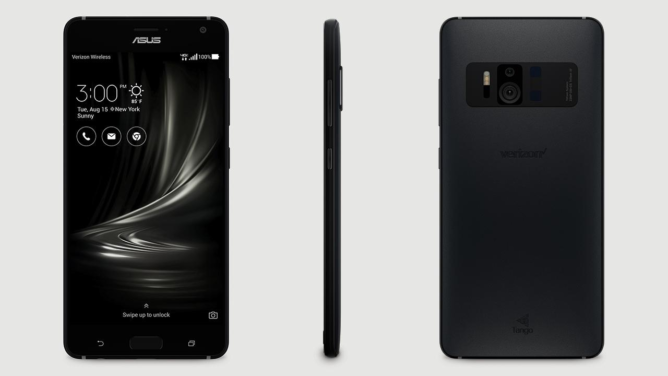 MOUNTAIN VIEW, Calif.--(BUSINESS WIRE)--Today at Google I/O, ASUS announced that Verizon will be the exclusive wireless provider of the ZenFone AR in the United States. The next-generation smartphone represents a significant advancement in mobile virtual and augmented reality technologies. The ZenFone AR is the world's first smartphone that supports both Tango AR and Daydream VR technologies developed by Google, giving users totally new ways to engage with and be entertained by their smartphones. During Google I/O, Johnny Lee, head of the Google Tango team, demonstrated Tango and Daydream on the ZenFone AR. The ZenFone AR will come with the Android 7.0 Nougat OS with 6 GB of RAM and 128 GB of storage, and will be available this summer at Verizon. Tango is an augmented reality (AR) platform that uses qualified devices to detect their users' positions relative to places and objects around them without using GPS or other external signals. This allows application developers to create AR experiences that include indoor navigation, 3D mapping, and environmental recognition, among other augmented reality applications. Daydream is a high-quality virtual reality (VR) platform that is built into the Android operating system to support VR apps. 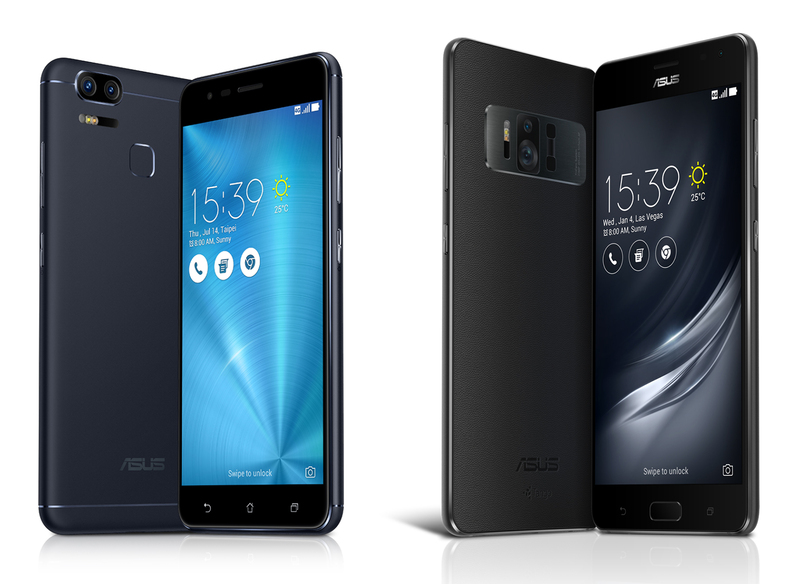 The ASUS ZenFone AR was developed in close cooperation with Google to deliver the best user experience on both Tango and Daydream platforms. Tango adds three abilities to the ZenFone AR: motion tracking, depth perception and area learning. Through these capabilities, the ZenFone AR can detect how far it is away from a floor, wall or an object and understand where it is moving in three-dimensional space. AR is a rapidly growing segment for mobile technology and one consumers are extremely excited about. To date, there are over 100 Tango compatible apps on Google Play1. ASUS and Google are also partnering with well-known brands to bring the Tango AR experience to customers. For VR, the large, high-resolution and high-contrast display of the ZenFone AR makes it ideal for VR applications when used as a VR display mounted in the Daydream View headset. The ZenFone AR’s expansive 5.7-inch screen immerses the viewer in whatever VR world is being presented, while the WQHD (1440 x 2560) resolution presents images with extreme clarity and deep black hues enabled by the high-contrast super AMOLED technology which enhances the 3D effect of the screen. Qualcomm Snapdragon 8212 Processor: The Snapdragon 821 processor used by the ZenFone AR has been specially optimized for AR operations. ASUS worked closely with Qualcomm Technologies engineers and Google to efficiently distribute computer vision workloads. Qualcomm® Adreno™ 530 GPU: With 6GB of RAM and the desktop-class Qualcomm® Adreno™ 530 graphics processing unit (GPU) that delivers supercharged graphics performance, the ZenFone AR handles the visual graphic demands of Tango and Daydream with ease. Superior Hi-Res Audio and DTS Virtual Surround Sound: Complementing the rich AR & VR experiences offered by the ZenFone AR is a new audio system that supports Hi-Res Audio and DTS virtual surround sound. External audio also gets a boost with the ZenFone AR’s new ultra-loud 5-magnet speaker. Photographic Maestro: The ZenFone AR is also an accomplished camera smartphone. It has the same ASUS PixelMaster 3.0 camera system found in the ZenFone AR that comprises of the world's highest resolution Sony IMX318 sensor and TriTech Autofocus system. The ZenFone AR will be available with 6GB of RAM and 128 GB of storage, with Verizon as the exclusive wireless provider, in the United States in summer 2017. Pricing will be announced at a later date.